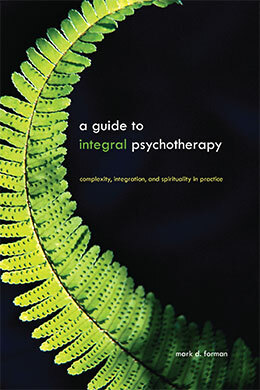 Learn the art and science of Integral Psychotherapy from one of the leading voices in the field. Integral Psychotherapy involves the application of Ken Wilber’s AQAL model in the world of psychotherapy. The result is a meta-orientation – a way to connect the central ideas and interventions of the world’s major approaches to psychotherapy. The goal of Integral Psychotherapy is to help us move beyond the postmodern into a truly comprehensive, holistic understanding of mental health and well-being. The CIT Professional Training Program is an online, self-paced training in Integral Psychotherapy featuring twelve individual consultations with one of the field’s leading practitioners, Dr. Mark Forman, PhD. The program can be commenced at any time – space permitting – since it is entirely individualized. The goal of this format is to make the art and science of Integral Psychotherapy accessible to participants from around the world. Building upon the Global Training, the Advanced Training combines a one-on-one supervision model with a process of Integral analysis – a personal exploration of your current self through the Integral lens. The intention of the Advanced Training is to strengthen your capacity for self-awareness so as to increase your capacity to work therapeutically with others. —Roger Walsh, MD, PhD, Professor, University of California Medical School, author of Essential Spirituality: The Seven Central Practices. — Andre Marquis, PhD, Professor, University of Rochester, author of The Integral Intake: A Guide to Comprehensive Idiographic Assessment in Integral.